If we are what we eat, what are we? What is America’s food culture, and where is it heading? And ultimately, how does food connect us? 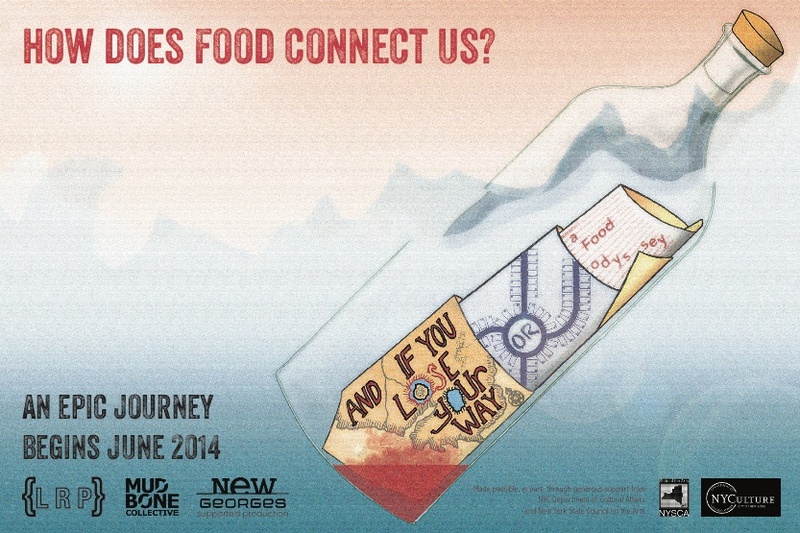 And If You Lose Your Way, or A Food Odyssey is a retelling of the story of Penelope and Odysseus, taking us through their separation, time apart and reunion using food as the emotional bridge between them. The story begins in Ancient Greece and ends in 2014, and the events of The Odyssey become metaphors for changes in the food industry, exploring our relationship to what we eat. As the play progresses, characters from the past and present intersect and as their food cultures collide, culminating in a feast shared by the actors and the audience. **Associate Member of the Society of Stage Directors & Choreographers (SDC). A New Georges Supported Production. Made possible in part by SDC’s Denham Fellowship.